We've been compiling some amazing Porsche models on eBay for almost two years now, and we've seen some pretty astonishing cars pop up now and again. In all that time, we've published these every other week. Well, enough of you have spoken up that we're going to try a weekly format, with two of us picking selections, so check back often. 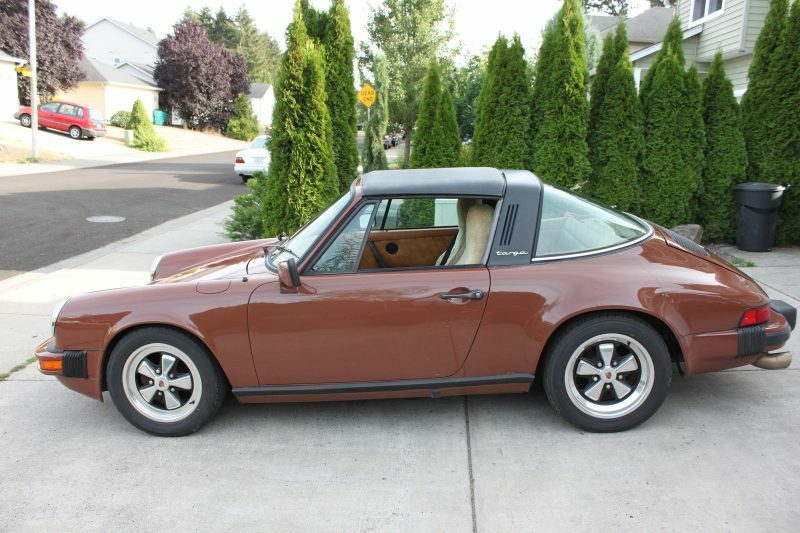 My neighbor recently brought home a 1982 Porsche 911 SC and I've had the chance to spend some time with it. I have to say, I used to overlook these cars. Not anymore. If there was room in the garage, I'd be looking to add one. With that in mind. I picked out a number of them this week that interested me, along with two other Porsches on my bucket list, a 928 GTS and a 997 Turbo Cab. Some of these cars could be great collection investments, while others might prove to do more financial harm than good. Once neglected, the venerable SC is seeing a resurgence in popularity thanks in part to the soaring prices of what some consider to be more "desireable" air-cooled 911s. However, clean SC's, like the one shown here, are getting harder and harder to find and rising prices reflect that. Resprayed in its original silver paint, this example is said to have come from a "Florida club collection" where it was stored in an air-conditioned garage. The seller insists it has no "mechanical or rust issues" and provides a number of YouTube video links where you can see and hear the motor in action. 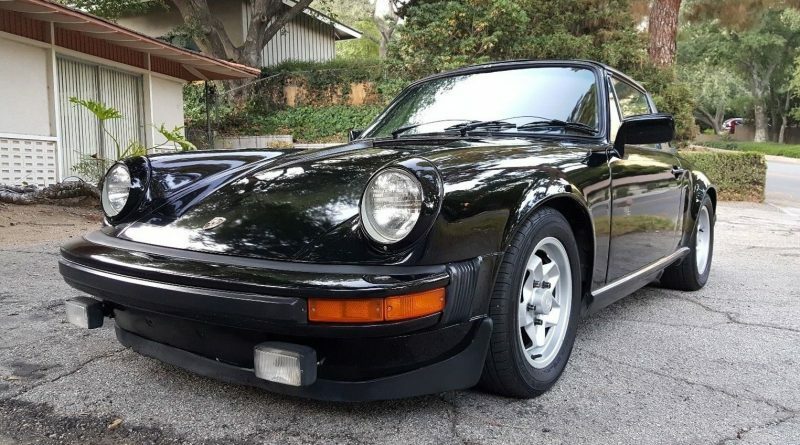 With just 55,000 miles on the clock, and a current bid of just over $25k, this could make a nice addition to your garage or, depending on where bidding ends up, be your entry into the world of 911 ownership. 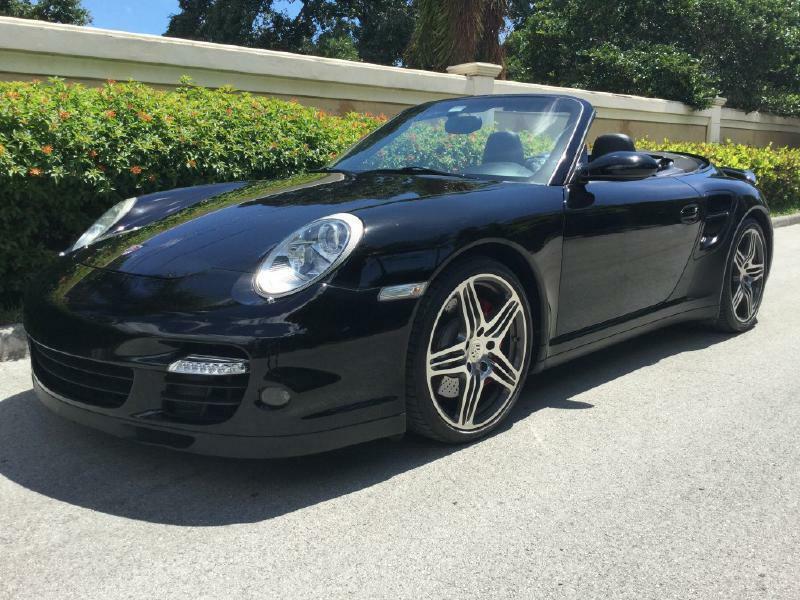 Up for auction here is a clean, 2 owner, black on black targa. With just shy of 100,000 miles and a nice set of "cookie cutter" wheels. The second owner has replaced the original seats with power seats from a later model 911 (originals are included in the sale), the muffler, catalytic converter, shocks, brakes and tires were also replaced (although the tires are going on 7-years old at this point so might be time to replace them despite wear (or lack there of). This Porsche was said to be garage kept for most of its life and it looks it. So far bidding is light, but I would expect that to change as we get closer to the end of the auction. While a bit heavy on the mileage at 150,000, this is a one owner survivor. Combine that with what looks to be an extensive and thorough service history and you have the makings of what could be a nice driver. The interior's a bit rough under those sheepskin seat covers, but the brown exterior paint looks presentable as do the Fuch wheels. There's not much in the description about the how this particular SC runs or its mechanics, but the seller does offer up a PPI (which we say is a must). Bidding is already over $21k and there's a lot of time to go. Let's see how high this one goes as it will be a bell weather for high miles, but well documented SCs. 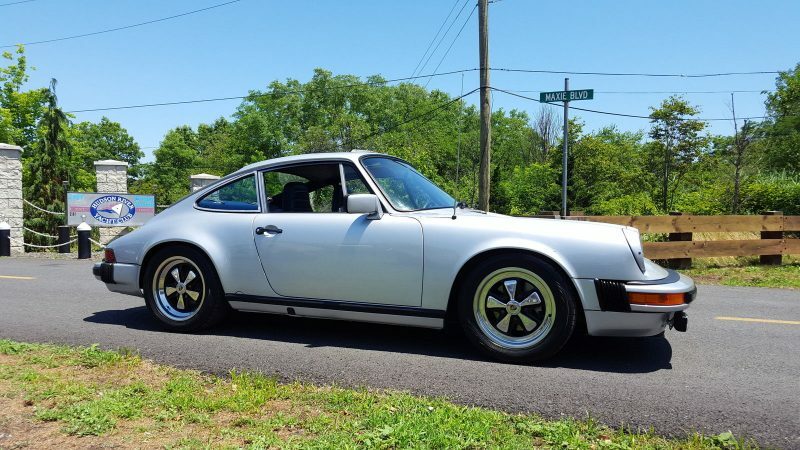 This Porsche was nearly $145,000 when new. Now, 8-years and 67,000 miles later you can get it could be yours for slightly more than a third of its original cost. Yes, I know, it has a Tiptronic transmission, but if you've never driven one, don't knock it until you try it. They can be as aggressive as you want and still give you the option of tuning out if you're stuck in traffic. The triple black scares me a bit when it comes to a cabriolet, won't it be super hot in the summer, but I wouldn't turn my back on it if someone were to offer it to me. 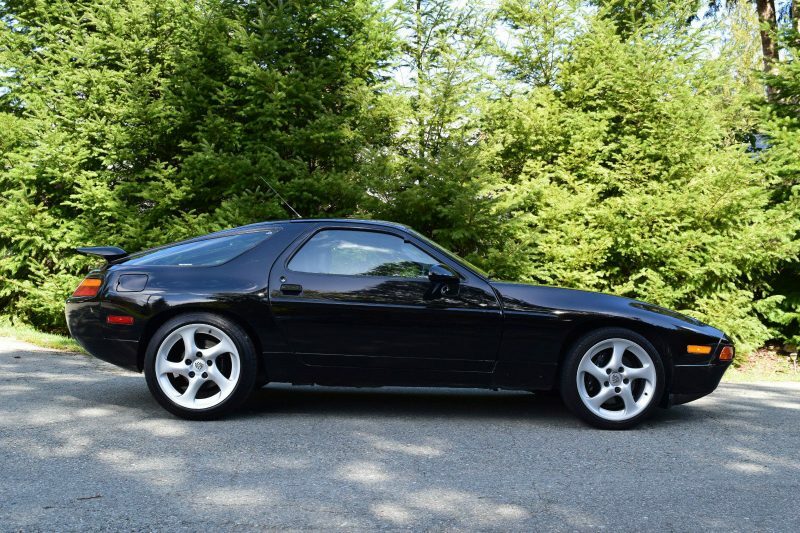 The 928 GTS has been on my bucket list for years now. The problem is, with so few of them built (1935 world wide over 3-years of production and only 405 of those into the U.S.) and most still wit super low mileage, prices have kept me from even considering one. Then, while searching eBay this week, I found this example. Yes, it has 110,000+ miles on the clock, but man does it look to be well cared for. As one of only 30 in Canada and a Buy it Now price of $45,900, I'm surprised it's still available. One of our sponsors, Michael Willhoit, routinely achieves prices well into the six figures for his low-mileage examples. While I'm not sure I agree with the seller that this car will continue to appreciate (given its mileage). I do think you could purchase it, drive it and not lose a penny. That by itself has a ton of value.